As a born and raised New Yorker who chose to settle in California, I am no stranger to long distance flights. Flying from coast to coast is a common trip for me, so much so that four hour flights feel like a breeze. So when it comes to getting through long distance flights, I’d say I’m pretty much a pro. 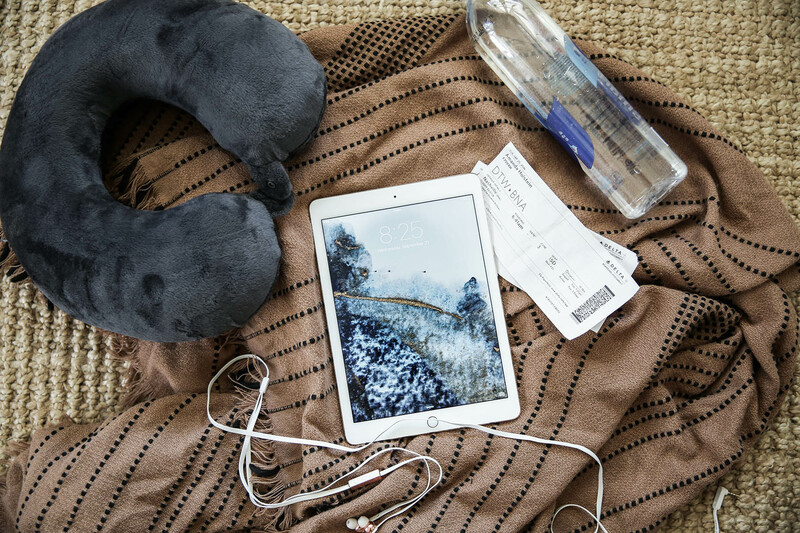 Whether you’re flying across the country or across the world, try these quick tips for your next flight! The WORST is when it’s too hot or too cold on a plane. It’s impossible to get comfortable or to focus on anything else. So I always make sure to wear layers, starting with a light t-shirt in case I get hot and adding a cozy cardigan if I get cold. I recommend a blarf (blanket scarf) as well! Use it as a scarf, wrap it around your arms, or lay it over your body like a blanket. Even better, FREE In-Flight Entertainment. 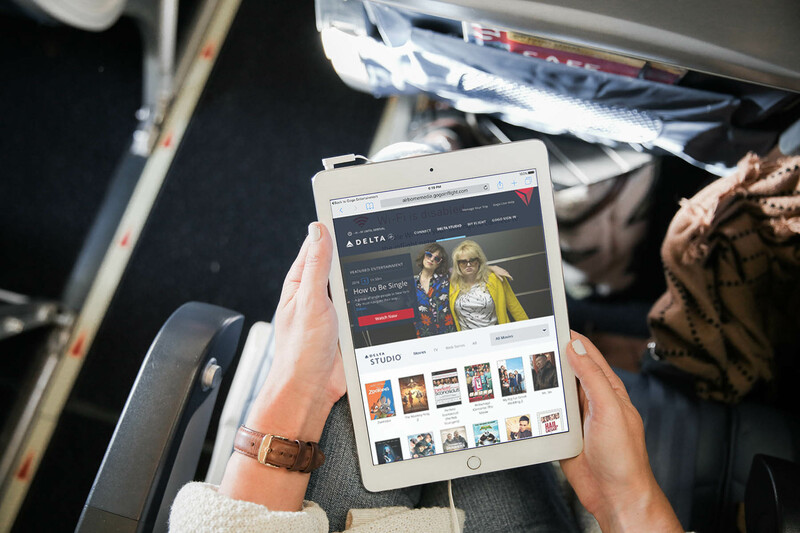 Yup, you can finally get tons of TV shows and movies for free on any Delta flight. It’s amazing. Plus, you can get access to it no matter where you’re sitting and even on smaller planes with no TV screens! I flew to Nashville last week on Delta and definitely took advantage. On the way there, I watched my favorite movie Father of the Bride (for FREE) using their super nice TV screens. And on the smaller flight without screens, I was still able to watch movies on my own iPad using their GoGo Entertainment app! Amazing, right? I have no idea why it took me so long to start bringing a neck pillow with me on long flights. They are a life saver!! I got a super comfortable one here that easily attaches to your carry-on too. I feel like I always get stuck in middle seat and this is the only thing that lets me fall asleep no matter where I’m seated. Never getting on a plane without one again! Seriously, though, drinking water continuously throughout your flight is SO important. I’m sure you know how dehydrating flying is — not just for your skin but for your whole body. Drinking water throughout your flight will not only keep your skin moisturized, but help you feel better and more awake by the time you land. 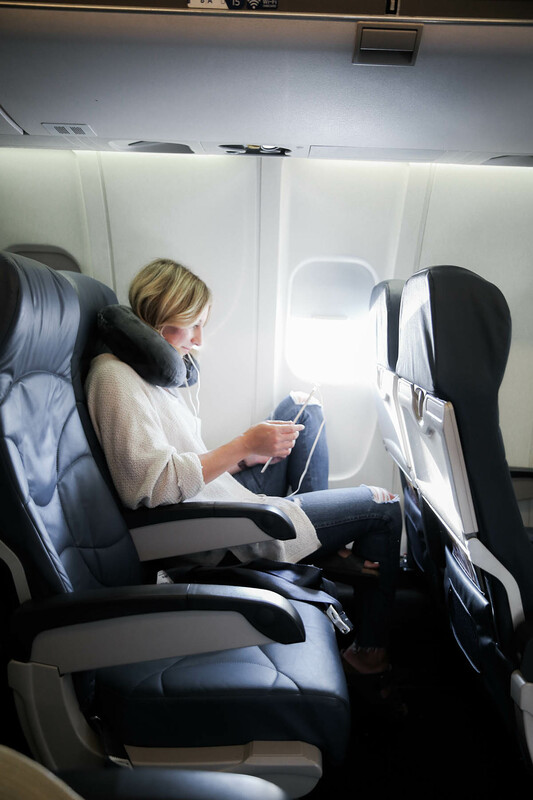 What are some of your tips for getting through long distance flights? 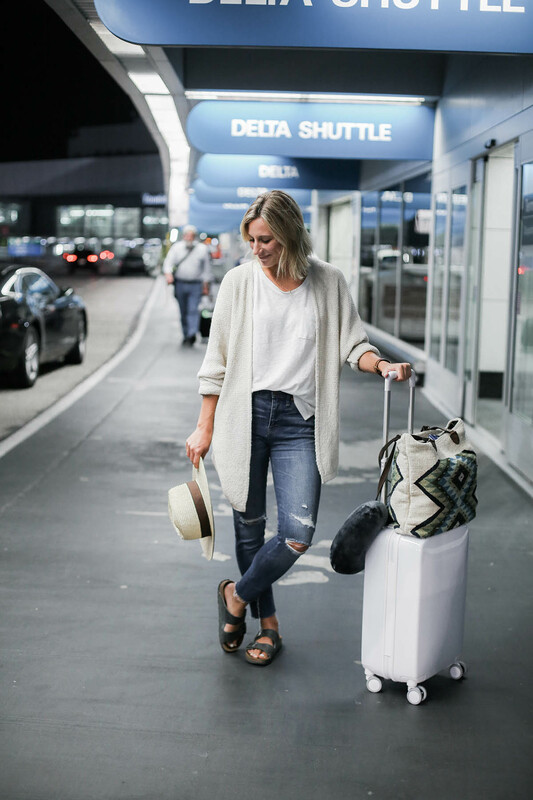 Thank you to Delta for sponsoring this post and thank you for supporting the brands who support this blog. Such amazing tips! I went to London over the summer and was not prepared for that flight — not one bit haha! Great post Amanda! Love to take advice and follow your tips. Thanks a much!